From a very early age, people learn to express anger by copying the angry behavior they see modeled around them, and by expressing angry behavior and seeing what they can get away with. As our culture has an uneasy relationship with anger expression, many people are brought up to think that it is inappropriate to express anger directly; that it must not be tolerated; that it is always dangerous. Such people learn to distrust anger, to bottle it up and ignore it, to express it only in indirect ways or to use it as a weapon. The idea that anger is dangerous is not without merit. Angry people are capable of great violence. 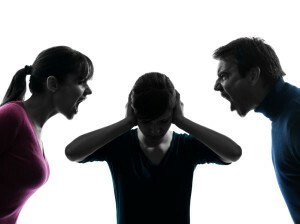 However, while anger can certainly be abused, it is more than a simple destructive force.